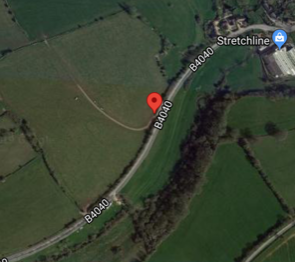 LORRIES: We are asking ALL 7.5 tonne and over horse boxes to approach the event from Sherston direction off the B4040 (East of the event) to aid with the car parking. Please enter through the first gate out of Sherston up the incline, taking you directly on to the hard-standing track in to the event/car parking field where you will be directed by our car parking teams. SMALLER LORRIES/TRAILERS: Please use either gate (you can approach the event from either direction off the B4040: Luckington to the West or Sherston to the East). Our car parking team will direct you to the correct car park. 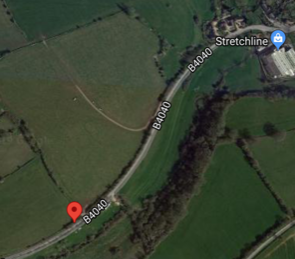 CARS: We are asking ALL cars to use the West gate entrance (can be approached from either direction off the B4040: Luckington to the West or Sherston to the East) where our car parking team will direct you to the car park. ALSO IMPORTANT TO ALL DRIVERS INCLUDING LORRIES & CARS: If it is going to be wet, PLEASE make sure you know where your 'towing eye' is - just in case! Let’s hope its not necessary but will speed things up if you know this in advance!! Team chasing rules on hat and body protector standards have been updated ahead of the 2018 season.British Team Chasing has brought its rules in line with British Eventing, the Pony Club and British Riding Clubs.